The inquiry had taken place first in the home of the former High priest Annas and then in the home of the current High Priest and son in law Caiaphas. Both proceedings dragged leading Jewish citizens out of their Passover Seder celebrations to judge in a forum that was contrary to Jewish law. No court proceeding was to take place after dark. Since there was only religious darkness associated with the trumped up charges, it was fitting that this rule should be overlooked. secure the two necessary witnesses. 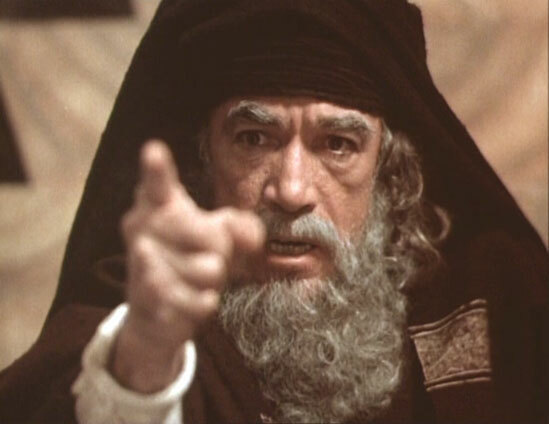 In frustration Caiaphas finally asked Jesus point blank, “Are you the Messiah?” Jesus responded, “You say that I am.” Immediately the High Priest tore his garment and declared, “Blasphemy!” Likewise all the assembly shouted out for death, the punishment for the crime of blasphemy. The only problem was that technically for blasphemy to take place, one must utter the un-mentionable name of God, which Jesus never said. But what are technicalities in such an emotionally charged atmosphere? His fate had already been decided prior to these preliminary inquiries. Weeks before, after having raised Lazarus from the dead, a special session of the Sanhedren met and decided that Jesus had to be put to death. An arrest warrant was issued, and a bounty placed on his head. Now the formalities of an examination having concluded, Jesus was handed over to the temple guards for the remainder of the night. It was at their hands that He suffered his first mocking. They spit on Him. tore out portions of His beard, covered His head and punched His face while delightedly taunting Him to say who it was that struck Him. After all, He was a prophet. Surely He knew by the Spirit who His tormentors were. passed to the governor because the judgement seat was already set up outside in a courtyard so as not to force the Jewish leaders to become unclean by entering a gentile house. 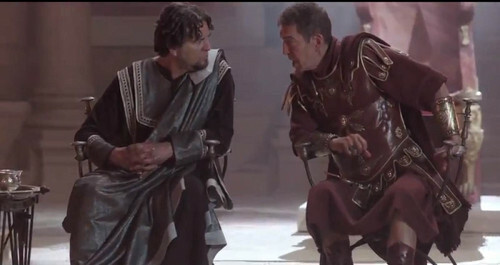 Pilate was now caught in a strategic game of manipulation between the chief priests, Herod, and his own conscience. Finding no fault in Jesus…no Roman law having been broken, and knowing that the leadership had delivered Jesus because of envy, Pilate sought to find a way to release Him. The Jewish leaders put up a strenuous resistance in which they happened to mention that Jesus began His “heresy” in Galilee. Pilate leapt at the opportunity to rid himself of the decision by sending Jesus to Herod who had jurisdiction over Galilee. Herod had, four months before, managed to have Pilate censured by the emperor Tiberius in Rome because of an insensitivity to Jewish custom. A directive was dispatched from the emperor to Pilate commanding him to honor all Jewish custom and under no circumstance was he to foment any unrest. By sending Jesus to Herod, Pilate recused himself from a decision on Jewish law and honored Herod by acknowledging his jurisdiction. and now wanted to see one of them. When Jesus refused to perform on demand, Herod had him clothed as a mock king and sent back to Pilate. Herod had also recently incited the wrath of a major portion of the population by executing John the Baptist. He was not going to kill another man considered by many to be a prophet and see his position of power slip any more. It seemed that Jesus was a problem that no one wanted to handle. 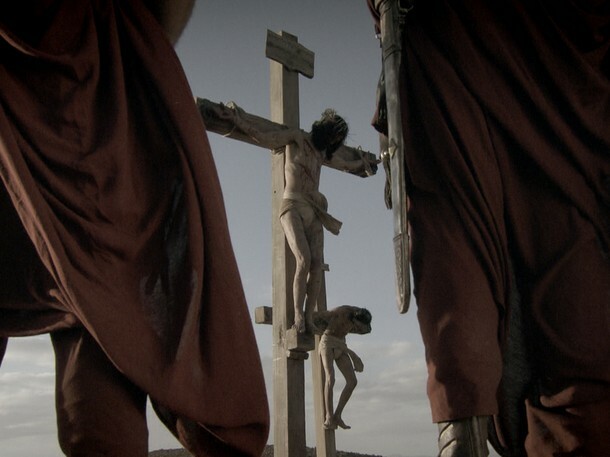 Back before Pilate, Jesus was scourged in typical Roman fashion. Leather thongs tipped with glass, metal and bone ripped into the flesh of His back until the ribcage was visible. 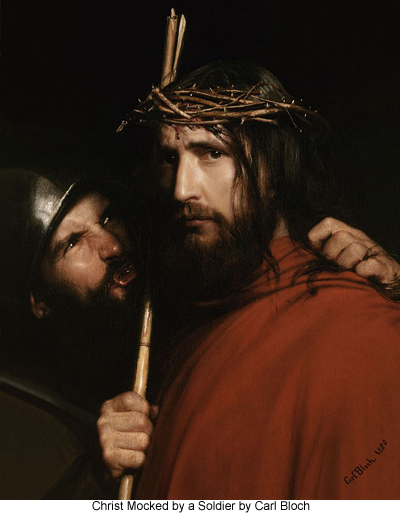 The Roman soldiers also mocked Him, now for a third time, by driving a crown of thorns into His head and feigned worship to the bleeding, beaten Messiah. 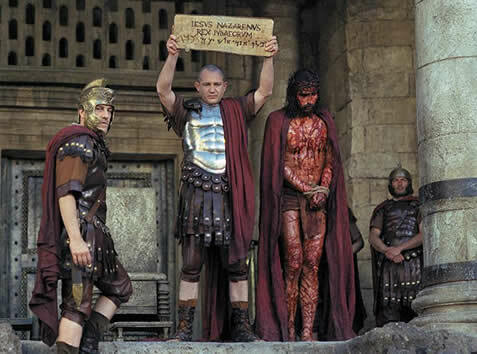 Pilate sought once again to release Him but was turned back in his efforts by a brilliant charge. 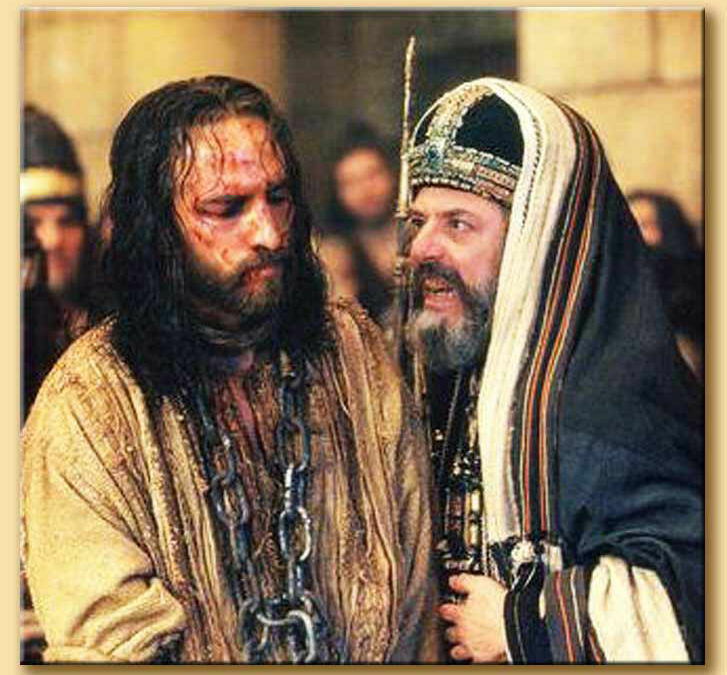 The temple priests shouted that because Jesus said He was a king, he had committed treason. Anyone who did not punish treason was a traitor and no friend of Caesar. 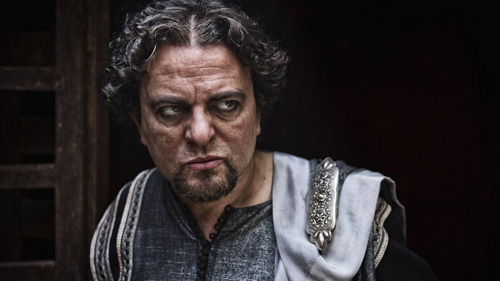 Pilate was indeed a “friend of Caesar”, a private club or fraternity. Once in the club, one was removed only by death or disgrace. Pilate got the message. The chief priests could send another letter to the emperor further complicating his position and future. He relented and delivered Jesus to the Roman guards to carry out the capital punishment. the body slumped under it’s own weight, breathing became nearly impossible. One had to push down with one’s nailed feet to the step which was placed for that purpose. The body would rise up, gasp a breath, then collapse down again relieving the excruciating pain of standing on two ankles through which a metal spike had been driven. Hour after hour the pattern would be repeated until in exhaustion and pain, the condemned man could no longer push up with his legs to breathe. This is the reason that breaking the prisoner’s legs hastened death. They could no longer push up to breathe. 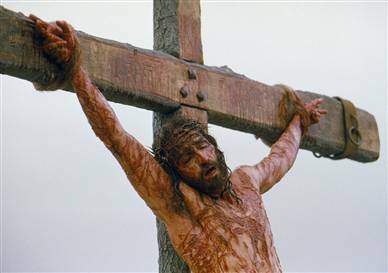 Where ever you are in God today, Good Friday, know that everything I have just described was done for you. God loved you before you were even conceived. Jesus loved you before we ever heard of the cross. Perhaps you have always considered this good mythology or an interesting historical footnote. I want to tell you that I had many of the same thoughts once. I held to every reason why none of this should have any impact on my life. But while living in Israel as an archaeologist, I found it all to be true. And if it is true, then one must act upon the truth. My life changed forever! I pray that this Easter yours will too! I will be glad to get your notification daily, week or monthly.